Has guided many treks over the Kokoda Trail as well as a guide in the Cook Islands for many years. Other places travelled for trekking include Thailand, Bali, Tahiti and Vanuatu. Spends time outdoors walking the local scenic trails on the Gold Coast and Brisbane. Conducted outdoor training camps and walks for groups such as martial arts, health and sports club on the gold coast. 20 years martial arts experience. 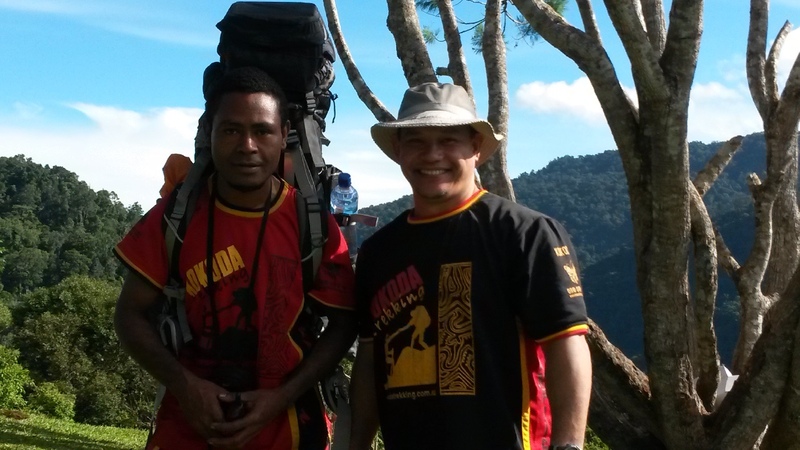 There is nothing more rewarding than sharing experiences with others and learning what drives a person to do incredible challenges such as the Kokoda Trail. There is no better place to do that other than to be with the person. A moment you may only experience once in a life time. A moment where you share, feel and rely on support for guidance to overcome physical and emotional boundaries. The rewards can only be explained by what you have accomplished mentally and physically in life. Pat enjoys sharing the War history with trekkers.